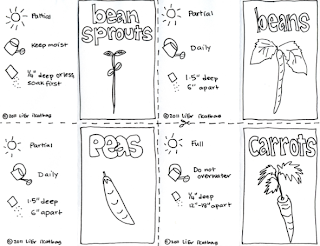 Welcome to the tutorial on How To Make Seed Packets! See the full Garden Center here. 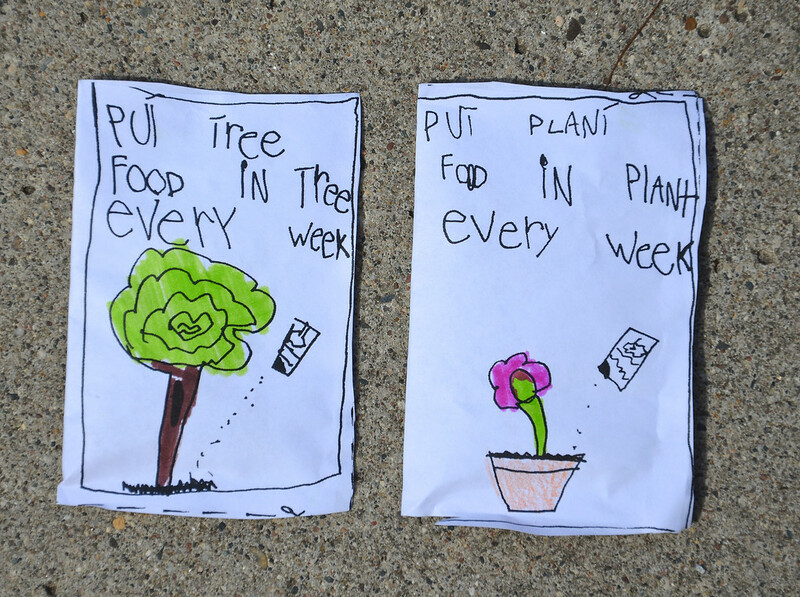 Our girls have used this idea to make all kinds of packets and sachets for their pretend play. Their most repeated version is pet food, which you can see in this post. 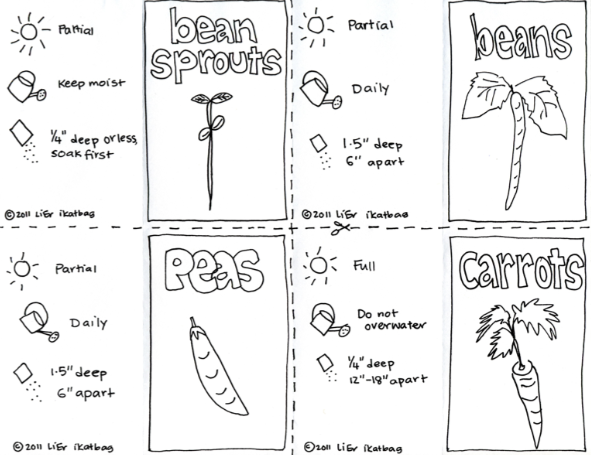 For the garden center, we wanted to mass-produce these seed packets, so I drew them out and scanned them. 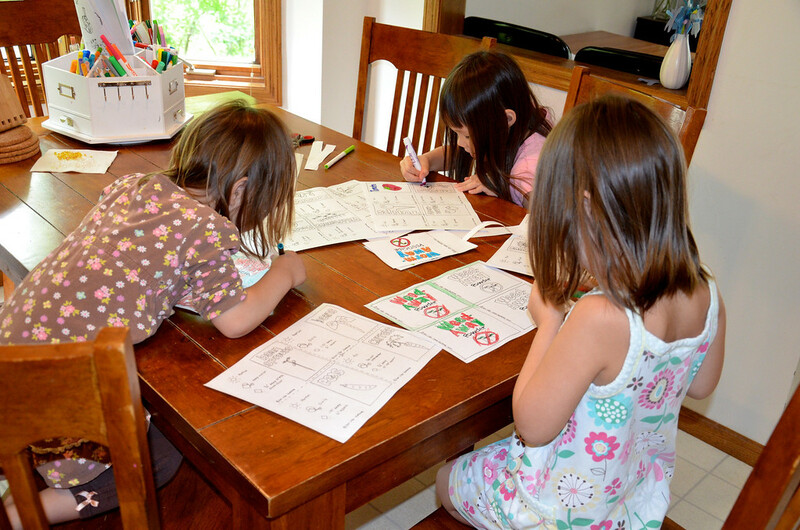 This way I could print out multiple copies for all three girls to color. Again, coloring and cutting along the dotted lines kept them very happy while I worked on other parts of the project. 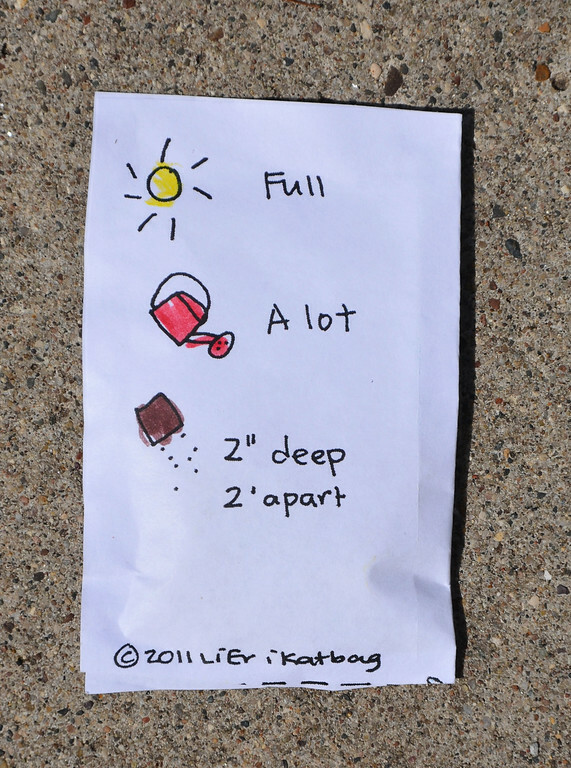 and instructions on the back. You are welcome to print out the templates here. 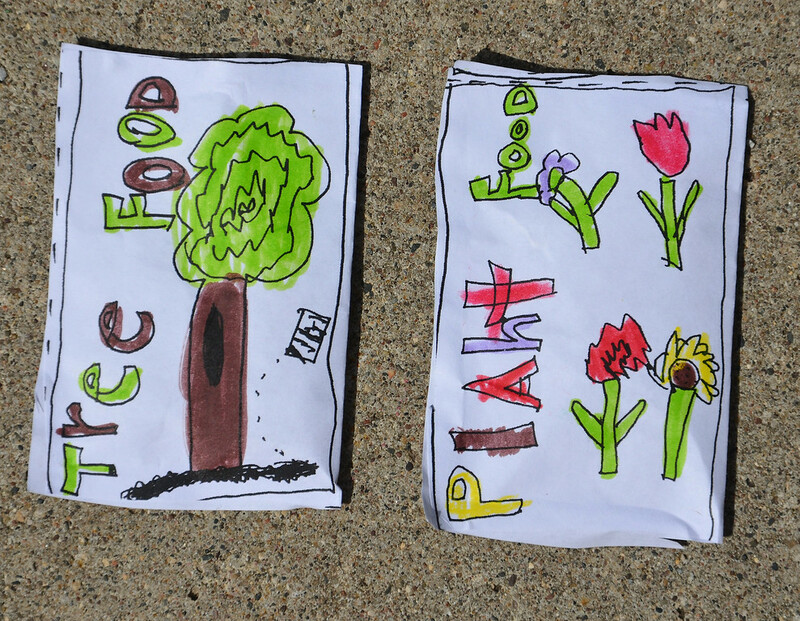 Emily made some plant food packets along the same lines. When the kids are done coloring, they might need some help to fold and glue the sides of the packet closed. Leave the top open so the packets can be filled. We used a paper cone funnel - it kept frustration at bay. We filled ours with rice and beans, because that's what we had sitting around in the kitchen. You could also fill them with cut up bits of paper, or paper beads like we did in the vet clinic. Or real beads. If you were going for the more authentic sort of garden center (e.g. in an actual school module), you could even use real seeds. Sunflower seeds, for example, are bountiful and easy to harvest from last year's sunflowers. 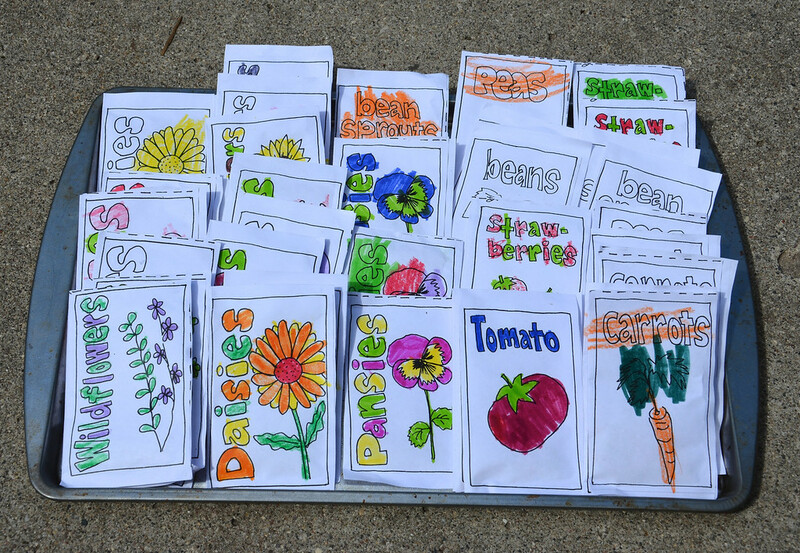 Emily was all excited and wanted to make a rotating display stand for the seed packets like she'd seen in actual garden centers, but that would have been a project for another day. She was finally happy to just arrange them on a tray. I hope you enjoyed the garden center! We had more ideas but decided that after two days, it was time to move on. I'll update the mail Garden Center post to include links to all four tutorials. 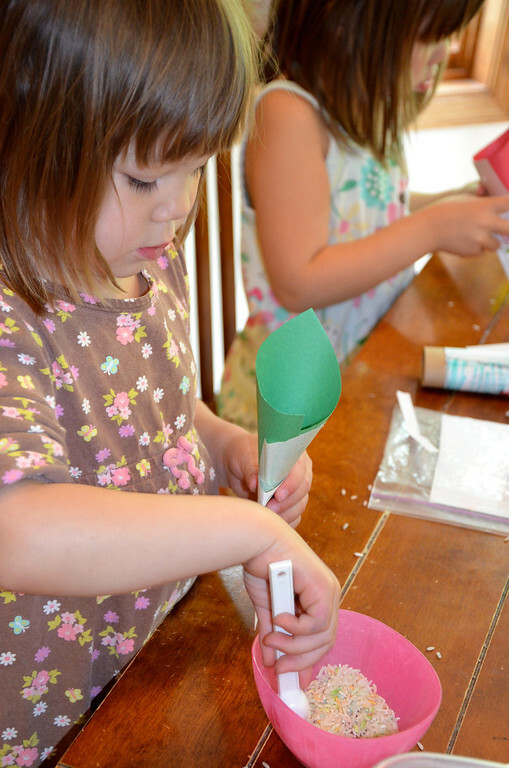 We're going to make popsicle stick baskets, sun paper prints and papier mache bowls in the coming days. On the sewing front, I'm planning to make the girls neoprene daypacks so they can carry around their sunglasses and small treats and maybe a small bottle of water when we are at the park. Lots to keep us busy! How adorable. 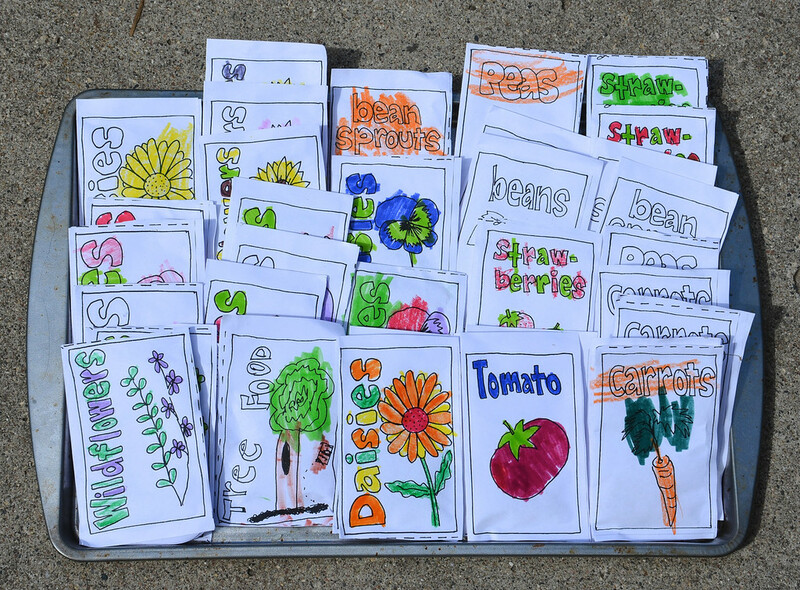 One Christmas many many years ago we did seed packets for the Grandmas from seeds harvested from Herbs and flowers. Ours were similar.... the children had fun writing the names and coloring flowers on them. The Grandmas loved it.